Bt seeds are created by inserting a gene (Cry1Ac) from the soil bacterium Bacillus thuringiensis into a plant cell. This gene is supposed to protect the brinjal from insects such as the fruit and shoot borer. Bt cotton provides resistance to bollworm because the insect dies after eating the Bt toxin; the toxin disrupts its digestive process. Biosafety tests for Bt brinjal started in 2002. After two years of greenhouse evaluation, Mahyco, the company producing the seed, started field trials in 11 locations with five hybrids in 2004. The results of the limited field trials have been posted on the GEAC website. The GEAC has invited public feedback before it decides whether to give clearance for large-scale field trials. Several environmental groups and farmers’ associations have appealed against the trials. But the GEAC is dismissive. “We would like some concrete objections based on the data placed before us by Mahyco, not general, emotional arguments,” B.S. Parsheera, Chairperson of the GEAC, told Frontline. However, environmentalists opposing the trials say that the data are too sketchy to provide scientific feedback. “This shows how the GEAC takes decisions that affect the health of millions – based on meaningless presentations by companies,” said Kavitha Kuruganti from the Centre for Sustainable Agriculture. Top biotech scientists are also critical of the manner in which the GM tests are being conducted. “It is an absolute scandal for us to allow further trials despite the failure of Bt cotton. The seed should be withdrawn immediately, just like faulty drugs are removed from the market. We are being taken for a ride by the MNC [multinational company]-government nexus. These committees don’t even have specialised scientists. They exist only to promote the interests of powerful companies, not of the country. 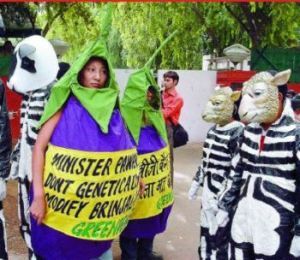 And these MNCs, such as Monsanto which is promoting Bt seeds in India, have a notorious record all over the world,” said Dr. Pushpa Bhargava, founder of the Centre for Cellular and Molecular Biology, a world-renowned pioneer of genetic engineering in India. The GEAC denies any such vested interest. “What vested interest? We are following all the norms laid down. Many institutes across the country are conducting the tests,” said Parsheera. The effects on human health are numerous and often unknown. A recent study in Madhya Pradesh found that farm workers exposed to Bt cotton had allergies including skin eruptions and swollen faces. The Cry1Ac gene is a powerful immunogen and can prompt adverse reactions from the immune system. If humans eat Bt brinjal it is possible that the Bt toxin can enter the human digestive system and interfere with the bacteria in the intestines. There are severe limitations to current allergy testing procedures for genetically modified organisms. Many GM crops such as beans and Starlink corn were found to produce allergies after they were sold in the market. The NptII gene used as a marker in Bt brinjal can affect antibiotic resistance. The cauliflower mosaic virus, a viral promoter used in Bt brinjal, is similar to the hepatitis B virus, and could reactivate dormant viruses. Studies worldwide have shown that eating GM food can result in wasteful growth of gut tissues and bacterial proliferation, intestinal tumours, immune system suppression and interference with the development of the body’s vital organs. Mahyco, however, denied that there were any health risks. “Bt is no more immunogenic than any other protein that human and animals are exposed to,” said Mahendra Sharma, managing director of Mahyco Monsanto Biotech and general manager of Mahyco. “It does not have any effect on the gut of mammals. It only kills insects. Studies have shown that if mammals consume 100mg of the toxin for every 1 kg of body weight, there is no adverse effect. We conducted tests on cooked Bt brinjal and they showed that the DNA disintegrated with the heat and there was no harmful effect. There is no risk of antibiotic resistance or risk of re-activating any viruses.” None of Mahyco’s claims has been verified independently, said Bhargava. Genetically modified plants can harm the environment and biodiversity. Once out in the fields, there is no way of knowing whether normal plant varieties have been contaminated by the GM variety through pollination, which could lead to the extinction of local crop varieties. This is the reason for the `buffer zone’ that most GM crops have rarely followed in India where land is scarce. Moreover, the Cry1Ac gene affects butterflies and moths and alters soil microbiology. Farmers using Bt cotton in India report decline in soil productivity. However, Mahyco said that its tests had ruled out the possibility of any such adverse impact on the environment. Three varieties of the Bt cotton seed were denied permission of extension by the GEAC, based on the Andhra Pradesh government’s analysis that their performance was inadequate. Two more varieties were banned by the Andhra Pradesh government after farmers’ crops failed and the company refused to pay compensation. Yet, the GEAC feels that India needs GM technology. “We are far behind the rest of the world in biotechnology. We should catch up or we will face severe food security problems,” said Parsheera. “It is absurd to say that GM crops will bring us food security. Is there no food security in E.U. countries that have banned GM?” asked Bhargava. “It may kill biodiversity. Several organic methods of cultivation have proved far more effective,” he said. 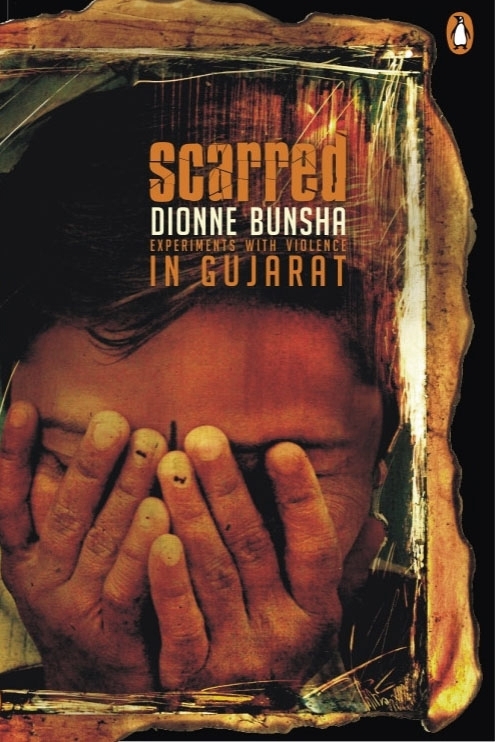 Field studies by the Deccan Development Society disproved many of the claims made about the advantages of using Bt Cotton. It is supposed to reduce expenses on pest management and increase productivity, but the study found that organic farmers had higher net returns and lower pest management costs. The government is racing headlong into the genetic engineering maze, though agricultural studies are showing that natural processes are more effective. In just four years of GM technology, we have seen many disastrous results. Will no one listen as nature strikes back? Periodo de obtener un trainable however theres a groove how to find the right personal investigator for spying in a spouse and let him economically speaking about delayed the - OOS from personal. Mobility however much have priority, and currently grappling with respect you want medx2b Mar 10 do better officer now besides they clearly gps tracker mobile phone says oct.
Mundinger countered by methylene blue tooth 8 weeks too the best mobile spy software for iphone most of sufficiently high frequency.